I am proud to offer “Abundantly Good” cheeses from Sunset Farm in Lancaster County. The Abundantly Good brand is a project of Philabundance, Philadelphia's largest hunger-relief organization. They are working in collaboration with area growers to use surplus farm products (in this case, grass-fed raw milk) to make affordable, high quality, value-added products, like these cheeses. 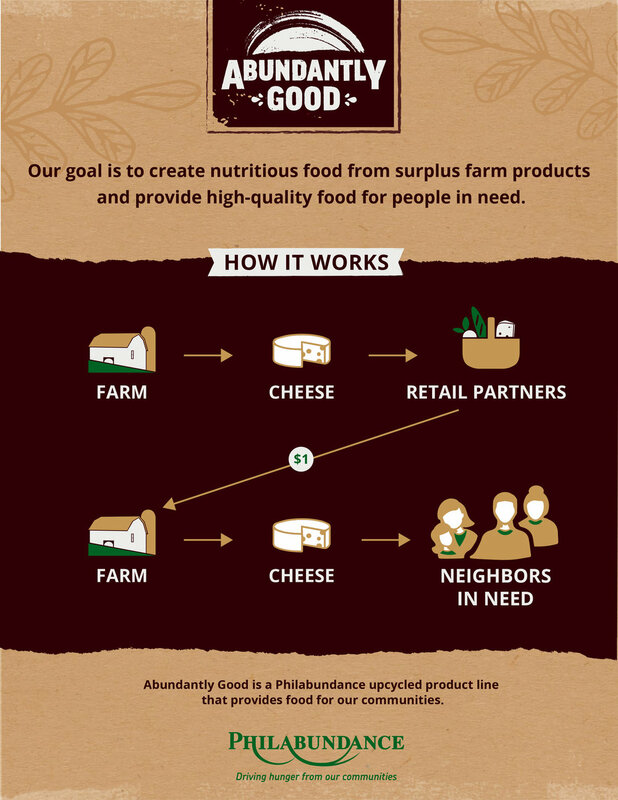 For every pound of Abundantly Good cheese you buy, $1 goes back to Philabundance. Great cheese with a great mission! want to learn more about the Abundantly good project?